That'll definitely help, but there's also a third component to achieving that coveted "ripped-and-toned" look. Or, at the very least, that coveted "better-than-things-used-to-be" look. This third component has nothing to do with how much iron you pump or how many protein shakes you knock back. Yes, it sounds a bit weird at first, since most people assume that getting bigger muscles means spending more time in the gym. But when you look at the actual process by which your body makes muscle, it soon becomes very apparent that the hours you spend sleeping play a huge role in developing muscle mass. The reason has to do with your hormones. Most people don’t realize this, but while exercise is certainly great for your body, it's also a type of stress. That means an increase in stress hormones, namely cortisol, which gets released during stressful situations, including during exercise. One of the effects of a cortisol increase is muscle breakdown. In fact, studies show that exercising too much can greatly increase the risk of muscle breakdown due to increased cortisol levels, which is why fitness experts like me always emphasize the importance of rest and recovery after exercise, so you don't end up taxing the body too much and losing precious muscle mass. 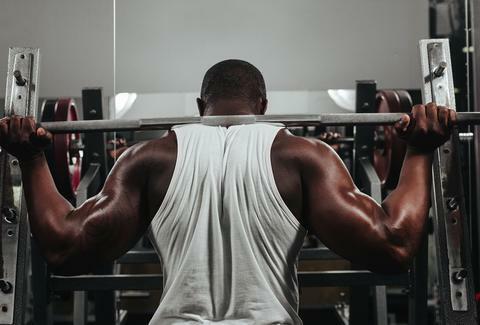 OK, so rest and recovery prevents muscle loss -- now it's time to make more muscle. The stress from exercise will prevent your body from producing enough of the hormones that tell your muscles to grow. Once you stop exercising and give your body the opportunity to chill out a bit -- especially during sleep -- growth hormone (GH) will start to flood your system and tell your muscles to repair themselves and bulk up for the next time they're stressed. Now you know why athletes definitely not named Peyton Manning are so keen on HGH. I like to tell fitness newbies to look at things this way: think of exercise as the wrecking ball that you bring in to break up the fat and demolish your old body, while rest and recovery is the time where other important players, like hormones, will come in later to begin rebuilding your muscles. So the next time you hit those weights and have visions of six-packs dancing around in your head, make sure you catch those important Zzz's afterward. Dr. Phoenyx Austin, M.D. is a certified sports medicine specialist and the creator of FitBeauty nutritional supplements for healthy hair and body. Find Dr. Phoenyx on her website and YouTube channel where she shares her passion for all things fitness, natural beauty, and healthy living.